Godiva: A healthy deformity-free sphynx. Furless—also known as sphynx—rats are one of the hardest types of rats to breed. They often have reproductive issues and depending on the line may also be riddled with other health problems. They take a little more care then their furred counterparts. Because of this one should really think long and hard about breeding. I highly suggest that you at least master breeding furred varieties before you try furless. Before you even start to breed furless you should first have a basic understanding of their genetics. There are at least four genetically unique versions of furless rats out there. This means that occasionally you can breed two furless together and get 100% furred babies. If it's at all possible, you should figure out which of the four types your breeding stock will be. I will be concentrating on rex-based furless, which I am most familiar with. The furless gene I worked with, the one linked to the rex gene, is the most common. Rex (curly fur) was originally a spontaneous mutation. It's a dominant gene, meaning that a rex bred to a straight-haired rat will produce on average 50% more rex. If you breed two very good quality rexes together you may end up with more rexes, and you also may end up with double rex (or patchwork hairless). These rats almost look like they have mange. They have patches of fur that grows in and falls back out again. 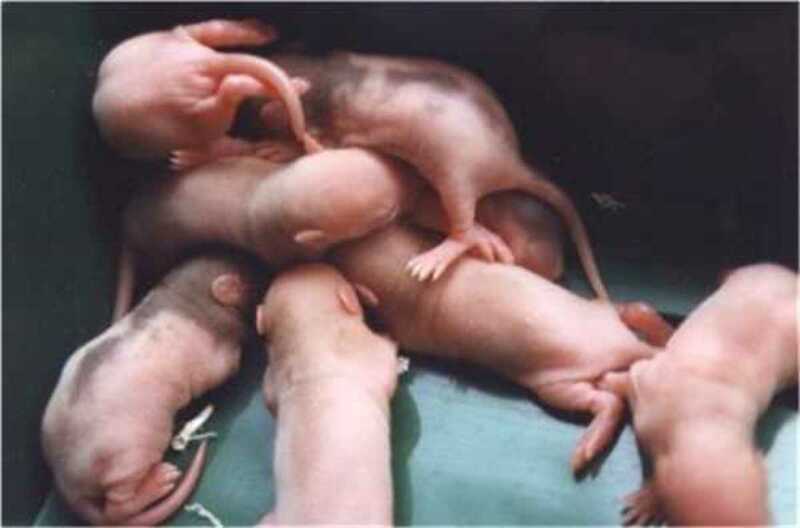 Double rexes bred for a few generations will eventually produce hairless. Because of this common ancestry, breeding furless can also result in breeding rexes without really aiming to. Of course, two furless (of the same genetic type) bred together will result in entirely furless litters. However it's generally healthier to cross furless, at least occasionally, with furry rats. Furless is a recessive gene, meaning both parents must either display the gene or carry it in order for it to be produced in a litter. A furless bred to a furry non-carrier will produce a completely furred litter, and in rex-based furless they will also produce roughly 50% "sloppy rexes." These rexes generally look very curly before weaning, and as they age their curls get less and less dramatic, sometimes disappearing all together. This entire litter will be born furless carriers as one of their parents was furless. The best way to breed furless (because of lactation and health issues) is to breed a furry mother (carrier) to a furless male. The litter will result in up to 75% furless with the remaining being a mix of sloppy rex and standard. If you really want to add genetic diversity, you can also breed two unrelated carriers. Of course in this case the number of furless born will be lower (25-50% of the litter). Can a rat whose parents are both furry be a carrier? Yes, a rat that has at least one furless ancestor in its pedigree will have a chance of carrying the gene. However the more distant the ancestor the less likely it is they'll be a carrier. Keep in mind that the above percentages are averages. Sometimes spontaneous litters can be born that break all the rules and come out with drastically different percentages. This is all part of the spontaneity of genetics. We can always give educated guesses, but when it comes right down to it, Nature likes to occasionally throw curve balls. In order to start a line of healthy babies you have to start with healthy adults. First, you want to pick out the perfect unrelated male and female. Check to make sure their eyes are clear, properly sized, uninfected, and able to open and close. Make sure their bodies are not too thin and preferably not too fat either. Make certain their lungs sound clear and they show no other signs of illness, ever. You want to try to avoid passing common furless health problems—many of which are genetic—to a new generation. From there, pick the oldest (healthiest) male you can. It's very hard to breed for longevity through the female's line, but since males can breed until they die this means you can breed for longer-lived babies. The female should be bred ideally at six months of age. At this point she's fully-grown, she's not too old or too young, and she's mature enough to have a higher likelihood of actually taking care of her litter. Make sure she's never been sick a day in her life. If she's never been bred before make sure she's under a year of age (at which point a female's hips will start to fuse together if she's never been bred). The easiest way to get healthy stock is to consult your local ratteries and breeders who dedicate their time and energy to creating healthy lines in the first place. If this is not possible use your utmost digression (and caution) to search out other possibilities. When breeding furless rats you should probably set up an aquarium for them. A ten-gallon aquarium is best for first-time mothers for the first week or two of the babies lives, at which point they can be put into a bigger aquarium. The ten-gallon aquarium is best because it doesn't allow too much space (some furless mothers will run off and ignore their babies if they're given too much space for the first week or so of their babies' lives). Also, it's insulated and the smooth surfaces are safest for guarding against scratches and injury. Use polar fleece, paper-based bedding, or shredded paper in addition to the usual bedding so the mother can make a nice warm nest. From there, make sure to give the mother extra fat and protein in her diet (boiled or scrambled eggs make a fantastic supplement) and just make sure she's generally comfortable. It's always advisable if you are breeding a first-time mother to also breed at least one furry or experienced mother at the same time (or ideally a few days before). This can prove to be a lifesaver if at any time you need a foster mother due to lactation problems or abandonment. When the babies arrive, let them nurse on their mother for an hour or so and then check their bellies. Pinkies have translucent skin for the first week or so of their lives, so you should see a white band going across their bellies and sometimes up their sides if they're really full. Keep checking periodically because furless rats can dry up before they're supposed to, sometimes very prematurely (within a few days). To help the mother, make sure when the babies start nibbling on food on their own that you provide things they can eat. Scrambled eggs or bread soaked in milk can be great for them. Cooked oatmeal, yogurt, and other soft foods are also great. Two regular-coated and two sloppy rex babies born to a furless mother. After the babies are all grown up and sent to their new homes, it is best to ask their new owners to report back to you if any of them have any health problems at any point during their lives. Also request to know their cause of death (and age) when they die. It sounds morbid, but this sort of data can be crucial to knowing early on if your lines have any problems. Generally one case of any ailment can be spontaneous, however two or more should be reason to reconsider perpetuating your lines. The more genetically diverse the line, the less likely they are to have genetic ailments. However breeders do occasionally inbreed (called line breeding) if a line proves 100% healthy and long-lived. These lines have shown to be genetically very efficient and breeding them together will eliminate the risk of adding problems into the line by outcrossing it with someone else. This all being said line-breeding is not for the light-hearted; it should be done with utmost caution. Cautions aside, I hope you all have a wonderful time raising happy, healthy, well-adjusted babies and remember temperament is just as genetic as physical ailments so make sure everyone is sweet as can be and you'll never be disappointed. I own a hairless rat that I got from a pet store about 1.5 years ago. No idea how old she is. She was a breeder that was eating all of her babies and they were going to feed her to a snake until I saved her. Her right eye was blind since I got her but it's been changing lately. It looks like it has popped out of the socket/ruptured. I don't know whether it is due to glaucoma or a tumor. The options offered to me are eye removal or an injection that kills the nerve to the eye, making it shrivel up (which I have only heard used in cats and dogs). I don't know which option is better for me considering we still don't know what caused this, I don't know her age, and I make next to no money. Someone please give me advice. Also, the vet is booked for three weeks. I bought pain meds for her (liquid gababpentin) but I cannot get her to take it for the life of me. She doesn't appear to be in much pain except with rats it's hard to tell and I'm worried her head may be hurting. Also she has been messing with the eye (I think she may be trying to groom herself and it's getting in the way or it could be bothering her-I can't tell). How can I get her to take the meds? I feel like the more I mess with her, the worse she feels. I don't know what to do. I have had one, female Dumbo Hairless which I randomly found at a local small pet store (northern California). She was so cute and sweet that I had to get her and still am so glad that I did. She and I went like everywhere together, I took her shopping, friends homes, exploring both outdoor and urban, I mean literally everywhere I went she was on my shoulder and if need be, hidden away and warm n the collar of a pea coat. I fed her like she was a health food junkie human, fish, veggies, fruits, chicken, cottage cheese, yogurt, eggs, grains ECT.. She even slept curled up next to me n my bed at night, she started doing so bcause one night she got out of her cage and didn't runaway, she climbed up my comforter and nudged me n my side waking me up to play ~ I also played with her daily. All rats love to simulate wrestling with ur hand (gently of course), u just make ur hand stand up on fingers on the bed or whatever surface and scurry it about around em and softly place ur hand on top the rats body shaking and even tipping em on their back to gently hold em dwn, also very softly pinch the skin to simulate rat~play bites, they're gnna do it to u, but dnt be scared cuz nkne of mine ever pressed hard enuff with teeth to even hurt at all. I recently bought a hairless female abousolty love her. But 2 weeks after I bought her she had a litter of 15 didn't know she was pregnant an the pet store didn't tell me. But still love the babies can't wait to c if there hairless or not going to b surprised. krazykrissy are you talking to me? I bred hairless rats for ten years from my rattery.... back in the early days when we were forging healthier ones. I really miss it but I developed an allergy to the little darlings and had to stop. The photo in the article is of Godiva, one of my first. She was a wonderful little creature. Oh well, guess this article has been busy. Sorry I had no idea anyone was commenting. In any event I want to answer a few questions and concerns. 1) Having one baby hairless in a litter is not unusual. It usually happens when one (or more) of its grand parents or great grandparents on both the mother and father's side were hairless. Or it could be a spontaneous mutation, which is far less likely but can happen. 3)"Rats don't have fusing hips" - Tell that to the two breeders I know who lost their does and the whole litter after breeding them too late. 4)For any of the people bashing me for writing an article on breeding, well... there's a few things I would like you to think about. The first is that ALL pets are here because someone bred them, so if you've ever had a pet you can't technically be ageist breeding. I realize lots of animals of all sorts end up abandoned at pet stores and shelters. Believe it or not good breeders don't want this to happen and work hard to make sure it doesn't happen to their animals (even going so far as to say they will take back animals from adopters who can no longer care for them irregardless of reason - this was something I always stipulated and I was not alone.) Also as far as encouraging people to breed things that are too "complex" for them... look, people are going to breed furless rats irregardless if they read this article or not. Would you rather they do it with no knowledge whatsoever or would you like them to be educated so they can help in the effort to make furless a happy healthy available pet to people? I know what I prefer and I will let you in on a little secret... good breeders do pay vivid attention of their lines, all lines, not just hairless. New unpedigreed lines are watched for at least three generations before their offspring are deemed good enough for other breeders to use. I've done foundation lines before. I made sure all my adopters knew they were foundation lines and had all of them report back to me on any and all health and temperament issues. Lines that had more than two occurrences of any health or temperament issue were discontinued. This is how I ended up breeding furry rats that lived on average past three years of age and furless who came very close to that. Now I can't bestow all my knowledge on others but I can give them a little bit and what they learn along the way could make them great future breeders. So please don't harp on breeders. We are here to make our breed or animal exceptional, healthy, and long-lived. We want to produce animals that are more stable both health and tempramentwise than what you can find at a pet store or feeder breeder. i love my hairless rat kojack. he is such a stud. and my best friend. just got my new rat today :), i remember having 1 as a kid and am super excited to have another 1, my last 1 lived for 3 or 4 years we took it to the vet and everything, we evently had to put it down because she got a tumer. excited to have soph... and loved this article. Newratowner~ Hairless aren't much different from furry ratties, other than they are more susceptible to extreme temperatures. Make sure they're not in a place that's hot or freezing cold. Give them cloth to cuddle up to, although all rats love cloth type stuff. 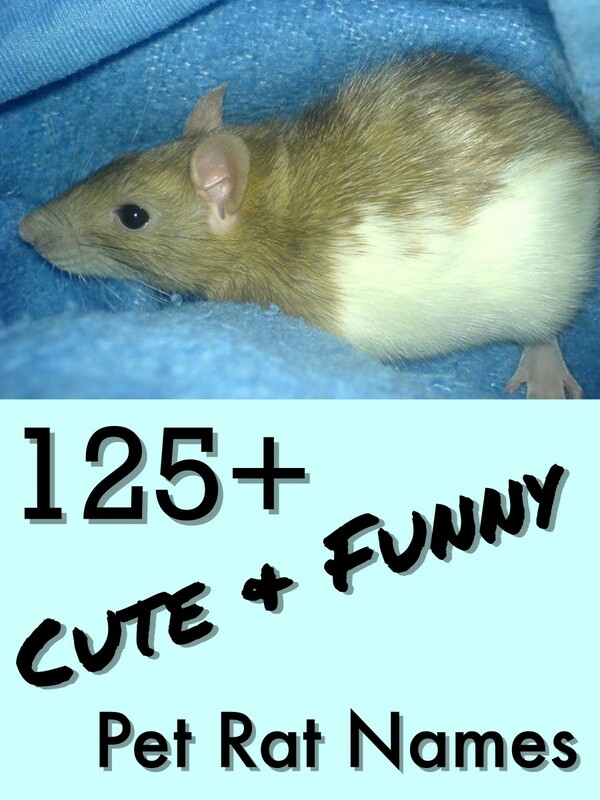 There are plenty of great hubs on proper rat care, nutrition, rat toys, all things rattie! Good luck with your new babies! i am a new hairless rat owner, honestly i went for the cuteness factor at first but i made sure my new addition was heathy and curiouse. i am now reserching how to best take care of her. i am new at this and do not want her to suffer because of my inabilaty to care for her properly. any help or advice would be helpful thank you. This is an awesome hub! Very informative. I totally agree with you in the sense that most experienced breeders want nothing to do with "newbies". I definitely think it's a fear of competition. I've bred rats for longevity and health before and had no help from the breeders in the area. :[ Not that I needed it, I'm pretty rat obsessed and pretty much know all haha. Although anytime anyone had questions for me, I was more than eager to help. Anyway, I ran off on a tangent. Great article!! @NCats : THANK YOU!! I'm glad someone feels the same way I do! Confuesed rat owner, I don't even know why you'd find that type of comment appropriate here. I've been taking care of rats for almost 3 years. In the process I've had dumbos, hooded, agoutis, PEWs, and of course hairless and double rexes. The saddest part of everything is that Confuesed rat owner clearly doesn't even have the desire to care for the little type of rat that I've been searching EVERYWHERE for. 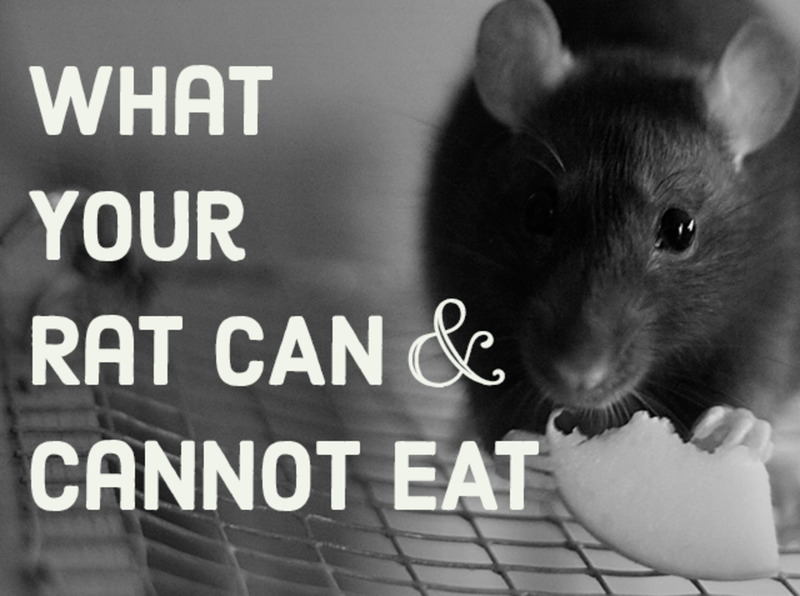 Just because rats are cute doesn't mean they're happy, healthy, or well-tempered. I had 2 rats that were bred specifically to be "cute" and they both were anxious biters that died at only 8 months old. Both went through severe depressive episodes after experiencing the deaths of a few of their cagemates and eventually lost the will to keep going. The place I got them from obviously had a breeder that was just looking to make a quick buck off of stupid parents who think, "Oh, it's like a hamster. It's cute. The kids can practice taking care of it, and when it dies it won't be expensive." My hairless came from a rescue, unwanted. He was party of an all furred litter and was the odd one out. He ended up being one of my most affectionate, loving rats and, despite the fact he required some extra care (like vitamin E on his little naked body for moisture and a blanket on cold nights.) I loved him, and ever since he sadly passed from a pneumonia infection that antibiotics couldn't treat, I've searched for another boy that I could save from people who only want "cute" pets. Seriously, these animals get abused- by pet stores, by breeders, and sometimes even the people that take them home (you don't see anyone feeding your pet ferret to a snake do you?)... it seems no one looks at them as a REAL pet and the way most people act towards them just continues this stigma. The love I feel for these animals is seriously beyond words. And the obvious love they have for my family and me makes them feel as though they are little people, with little personalities, just looking for affection and safety in the world. well that sounds like a pretty ugly person to me. I find it unwise to promote any type of breeding but ESPECIALLY something so advanced. There are thousands of rats in the world who still need homes and we are going to continue breeding in hopes of creating something different?? And not only are we creating MORE pets that will probably be abandoned by the impulse buyers, but we are also playing with extremely fragile genetics. Hairless rats already have more than their share of health problems. Inexperienced breeders trying to breed them will end up with nothing but disaster! But if you are going to go with this. I would suggest you keep ALL of your babies and watch every single one of them through their entire life. I have had a hairless female for nearly two years now and she has devoloped quite a large mammary tumor and has experienced many terrible eye problems. The breeder probably thought that her silky smooth skin and her perfect color was an indication that she was in good health. Boy was he wrong! Your attitude is "ugly and gross!". I know you. I've seen you in the pet store oohing and ahhing over the "cute" animals. I've seen you pick one out without a second thought to researching its needs or weather it'll be happy and healthy or not. I watched you carry it around like a fashion accessory for a few months until you grew bored with it, at which point you neglected and even occasionally mistreated it if it got in your way or did something that inconvenienced you. I saw when you either gave it away to some irresponsible kid down the block or you forgot to refill the water for so long, the precious creature died. I've watched you then replace it with another "cute" animal. You should never, EVER be permitted unsupervised contact with an animal and CERTAINLY should never be allowed to own one. I loved your article. I have a hairless dumbo odd-eyed female who is probably pregnant since one of my males sneaked into her cage recently. I am a little worried because after reading your article, some things have become clear to me as to why previous litters of hers have not gone very well (her last litter ended up being eaten by her and I was horrified). I don't want this to happen again and I was wondering if you had any advice on how to possibly prevent this with the coming litter. I am also wondering what might happen since the male that was in her cage is her grandson. What would I need to look out for as far as problems with the babies? BTW your Godiva is so cute!! I bought two FURRED girl rats, hat ended up both being pregnant. all of the babies are furred except one! i thought it was the runt (im still sure it is the runt) but it has no hair... I dont understand! why did just ONE rat end up hairless? 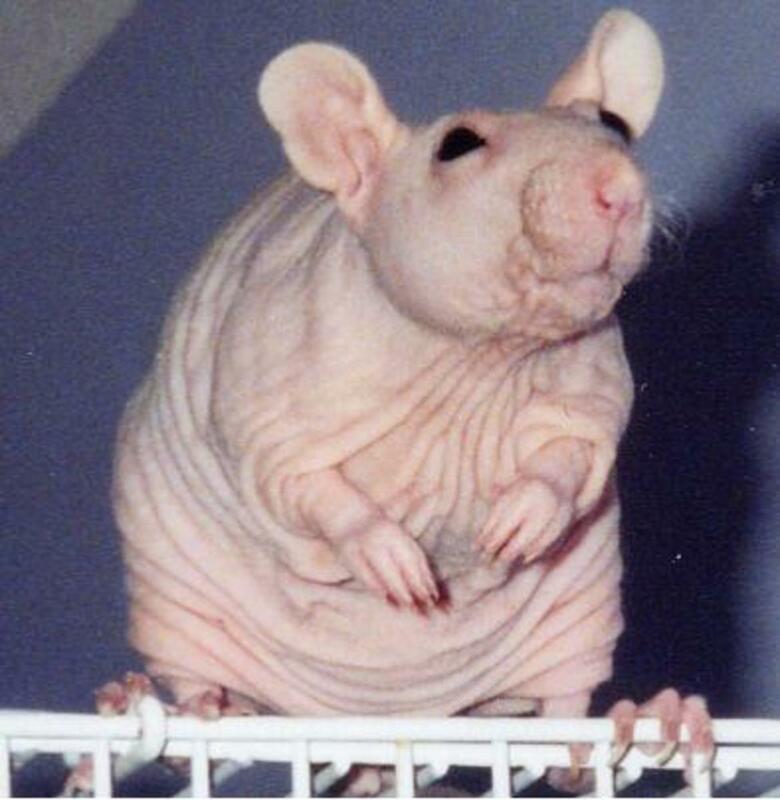 i dont even like hairless rats they are ugly and gross! 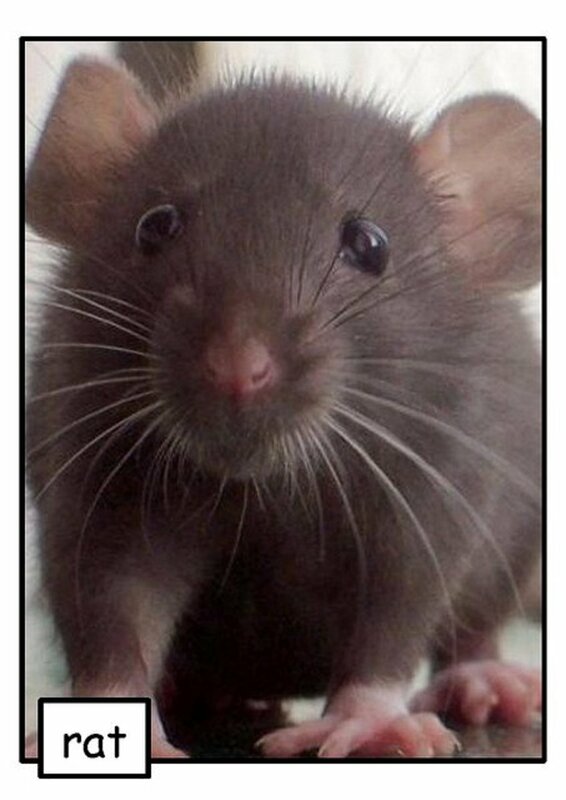 furred rats are cute! I got a baby hairless rat like a month ago from the feed store. It was my first hairless one. The guy told us it was a boy. After a few weeks we just thought he didn't fully "mature" yet. So when we went back we got him another boy hairless playmate. And it turns out our first one was really a girl. So we will probally be having babies, unexpectenly! 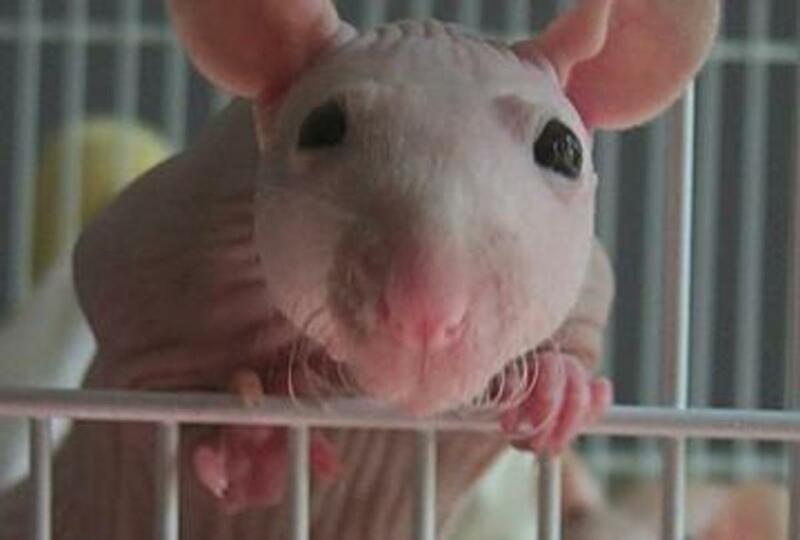 i think hairless rats are so so cute i might be getting one soon!!!!!!!!!!!!!!!!!!!!!!! Rats don't have fusing hips, that's just guinea pigs and it's 7 months for them. I hope you're feeding them domestic roaches and crickets (like the kind you buy at the pet store) because wild insects can carry internal parasites and possibly diseases as well. Otherwise a little protein boost can be a good thing. I had one who loooved crickets. I'd put him in a tank so he could find them amongst the bedding. Good mental stimulation! In addition to my 8 rats, I have 2 guinea pigs, 4 Robo hamsters, 2 fish, and several kitties. My rats love - and I mean LOVE cockroaches, crickets, oranges, cereal. Feeding them cockroaches is like giving cookies to kids with a hard-core sweet tooth. I have two male hairless rats. I know their mother, Wrinkles - she belongs to a friend of mine. However, my friend didn't know Wrinkles was already preggy when she got her. But, my lil boys are doing great. So far, no problems. Oh - by the way - I have 8 rats. Anyone know where to get hairless rats around Los Angeles,California. What I did was put the hairless rat kittens with a foster since the mother was not lactating. I think that anyone who is considering breedng rats should find an already established breeder in their area. The established breeder will mentor the new comer until the breeder thinks he is ready. Otherwise, the new comer may not know the ropes properly as to when to breed, how to, etc. 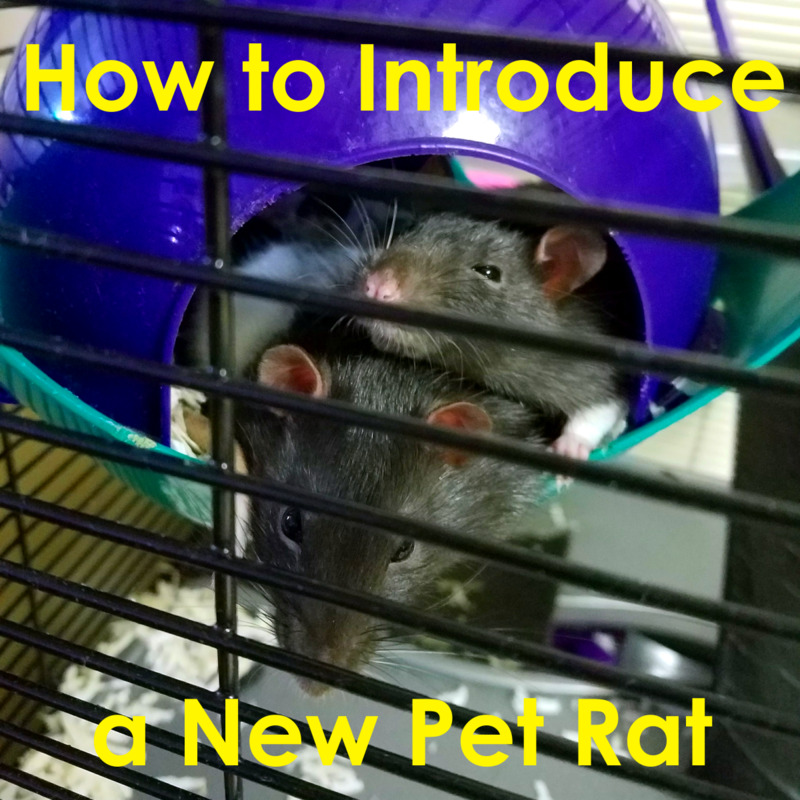 Being mentored helps teach the tricks and tips to breeding rats. On another note, I love hairless rats!